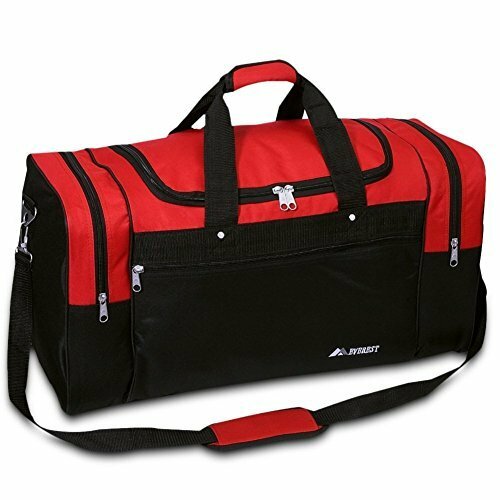 This red and black duffel bag is great for the gym or any sports activity. With its spacious main compartment, dual side pockets, and front zippered pocket there is enough room for all your clothing and equipment needs. This bag has a main adjustable strap and also two side handles with a velcro close handle for hand carrying. The bag is 21" x 12" x 11" and is made of polyester. 21" x 12" x 11"
If you have any questions about this product by Everst, contact us by completing and submitting the form below. If you are looking for a specif part number, please include it with your message.